clean, good location - the staff could be a bit more friendly and there was some construction going on. 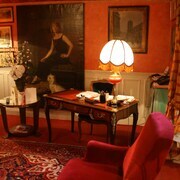 Marais vacations offer a peek at Paris’ past. Located in one of the city's most historic spots, this neighborhood is equal parts stylish and storied. Cobbled streets wind through the area, courtyards and parks snake through the landscape, and old-school boulangeries offer everything from traditional treats to modern delights. 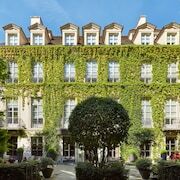 The best hotels in Marais, Paris are just as lovely as the district itself; book a room here if you’re interested in immersing yourself in the city’s tresh, chic heart and soul. 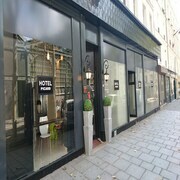 What’s more, several of the top Marais hotels are located just a stone’s throw from a few of France’s most famous attractions. 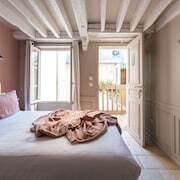 Search for cheap deals near Notre Dame if you’re planning to explore this 14th-century masterpiece, or browse the Paris hotels Marais features near the Maison de Victor Hugo for an inside look at this literary icon’s home. Place des VoINes is another can’t-miss attraction; this ages-old square is one of the city’s most picturesque, and it’s situated in the heart of the neighborhood. 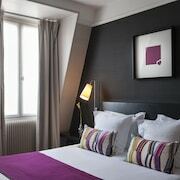 There’s plenty to adore about the hotels in Marais beyond their proximity to world-renowned attractions. This artistic district feels more like a village than a neighborhood, so you can easily spend an entire vacation browsing the shops, peeking into the patisseries, and meandering through the markets. 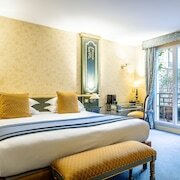 Search for deals on the most stylish boutique hotels Marais has to offer to conjure a truly local vibe. After a little time surrounding yourself with the neighborhood’s charms, you’ll be well on your way to feeling like a resident. 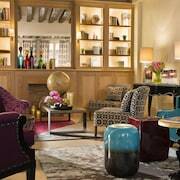 No matter where you choose to hang your hat, make sure to use the travel tools on Expedia.co.in to search for flights, check out rental cars, and book a room at your favorite Marais hotel. We’ll even give you a list of local tours and attraction tickets so you can complement your trip with a few can’t-miss things to do. 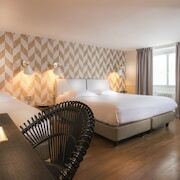 Your Parisian retreat is waiting.